Collin Tong graduated from the University of Redlands, earned his M.A. in China regional studies at the University of Washington, and did Ph.d. studies in East Asian history at the University of California, Berkeley. He is a correspondent for Crosscut News and University Outlook magazine. He is also a Seattle-based stringer for The New York Times. Prior to his current journalistic work, he served as senior director of communications for Washington State University, visiting lecturer at the Edward R. Murrow College of Communication at WSU, and public affairs director at the Alliance for Education. He also taught East Asian history at Lone Mountain College [San Francisco College for Women at the University of San Francisco] and served in Thailand as a Peace Corps volunteer. He was a member of the National Peace Corps Association board of directors. A former Michele Clark Fellow at the Robert C. Maynard Institute for Journalism Education’s 1976 Summer Program for Minority Journalists, Tong is the recipient of awards from the Fund for Journalism on Jewish Life and Washington Press Association. In 2012, he received the University of Redlands’ Distinguished Alumni Achievement Service Award. 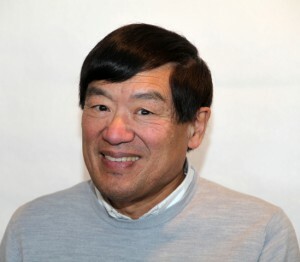 He serves on the advisory committee for the nonprofit global health organization, Village Health Works, international service committee of the Rotary Club of Seattle, and Chancellor’s Advisory Council for Seattle Community Colleges.